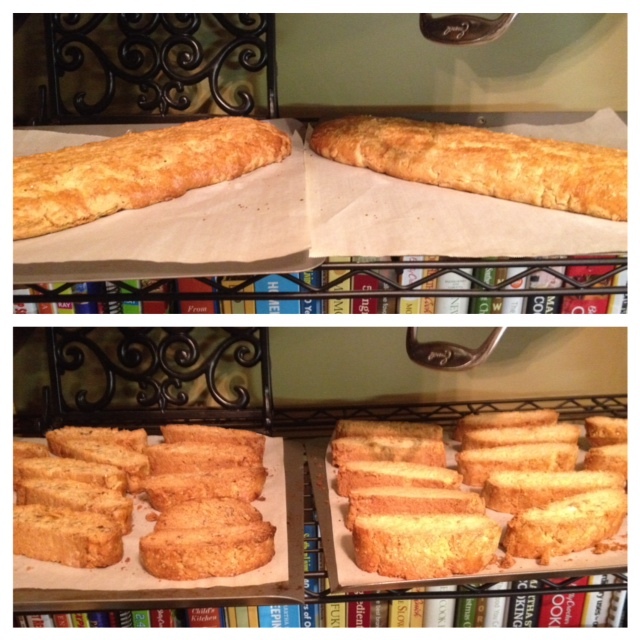 As you may be able to tell, I’ve been on quite a baking kick as of late. A new Kitchenaid will do that to you, just takes over the brain and there you find yourself two hours later, covered in flour with no memory of how you got there. Not entirely against your own will but at least partially due to a force greater than yourself. 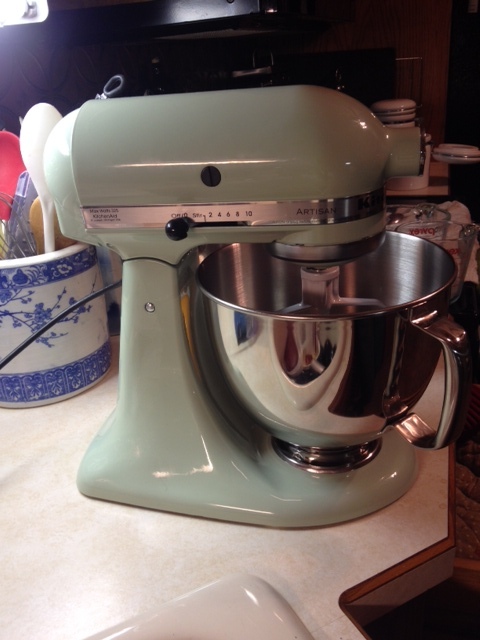 THE MIGHTY KITCHENAID. If you find yourself either in this situation (as bewitched by your beautiful appliance as I am) or just in need of a recipe for a nice baked good that can be gifted easily and mails well, biscotti is for you. We made this for the first time on New Year’s Eve, 2012 and I’ve tweaked the recipe and tried new flavor additions since then. The recipe below is a basic recipe, with several flavor options; I use it as a base for each batch of biscotti because it’s not sticky and is very easy to work with. The cranberry-pistachio flavor combo is my all-time favorite and a hit around the holidays; I highly recommend trying it. Get your coffee and tea ready and enjoy! 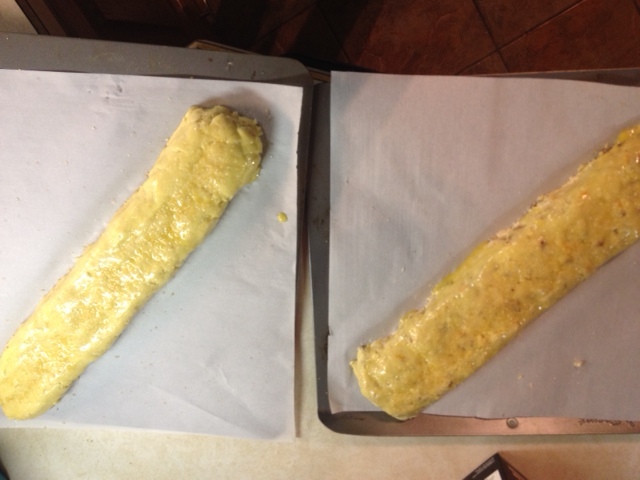 Preheat your oven to 350 and line a large baking sheet with parchment paper. In a large bowl, mix flour, baking powder, and salt. In the bowl of a stand mixer or a blender with a paddle attachment, cream the butter and sugar until light and fluffy over medium speed. Scrape the bowl, if necessary. 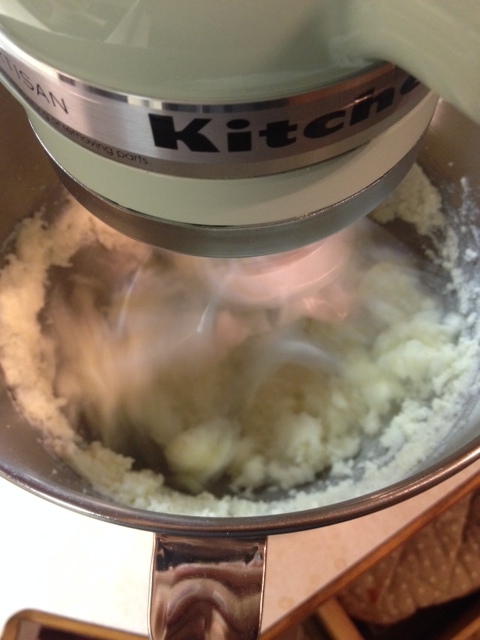 With the mixer running, add 2 eggs, one at a time, making sure they’re thoroughly blended in after each addition. 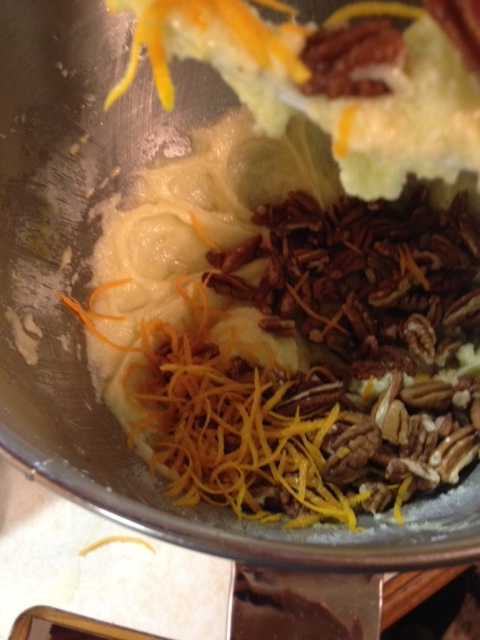 Add your chosen additions (EXCEPT for candy coating, if you’re using it) and mix on low until just combined. Meanwhile, lightly flour your counter or a large prep board. Turn the dough out onto your floured surface and roll into a 12-inch log, flattening the log to a height of 1-inch (picture biscotti height). Beat the remaining egg and brush the log with it; sprinkle the sugar over top. glossy, sugared, and ready to bake! Bake for 45 minutes, until the log is firm. Remove from the oven and allow to cool for 20 minutes; slice the crunchy log into 3/4 to 1-inch thick cookies when cool enough to handle. You will need a serrated knife for this. Find your inner zen at this point because slicing these and trying to avoid crumbles can really bring out the worst in a person. Sheesh. Place the cookies one side down back into the 350 degree oven and bake an additional 20 minutes, flipping halfway through. Set aside to cool and voila! 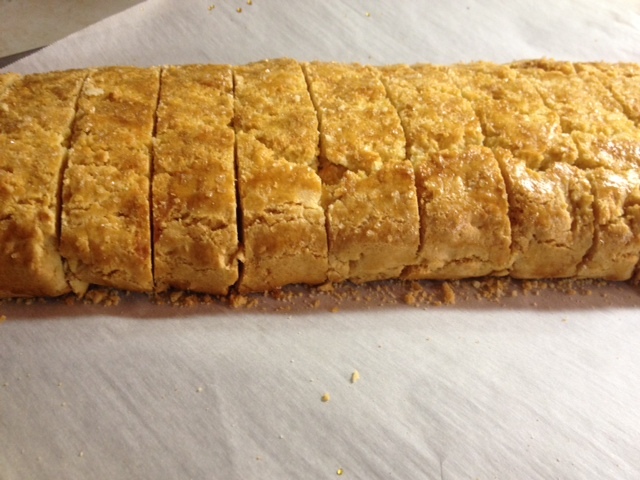 Beautiful biscotti. 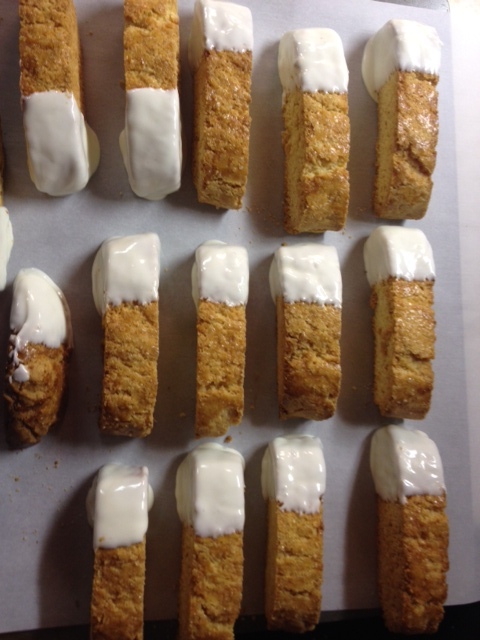 If you’ve opted to use candy coating, melt it and dunk your cooled biscotti in halfway for a fancy Starbucks look. As I mentioned earlier, these cookies mail well and make great gifts or office treats… or indulgent breakfasts at home. Enjoy!